This level has medium difficulty. 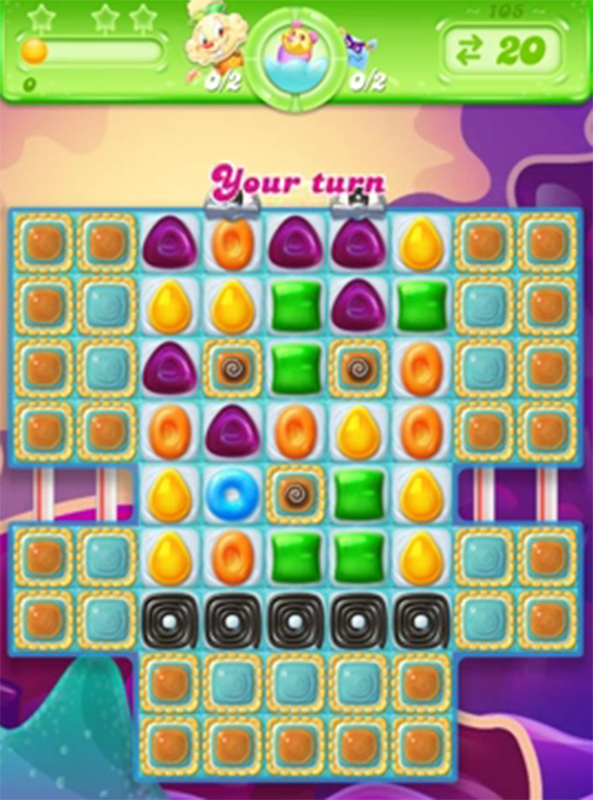 For this level try to play more from the bottom to shuffle the candies as it will help to get special candy and break the blockers. Save some special candy and use them little late when have less blockers and to break them to get more pufflers.